Sears Canada stores have been my number one stop for clothing and more since I was a child. We lived in a rural area that only had a small Sears Department store, a hardware store and a few mom and pop stores to buy what we needed. Waiting for the Sears catalogue orders were a highlight for us, especially ones from the WISH BOOK. 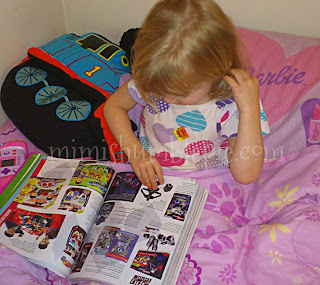 Now my own girl is circling her favourite items from the 2013 WISH BOOK. is her favourite bedtime "story" once a week now. Speaking of the holiday season, it's around this time I start planning our greeting card photo. Some years I have set up the tripod and snapped the picture myself, and other times have booked a shoot at my local Sears Portrait Studio. 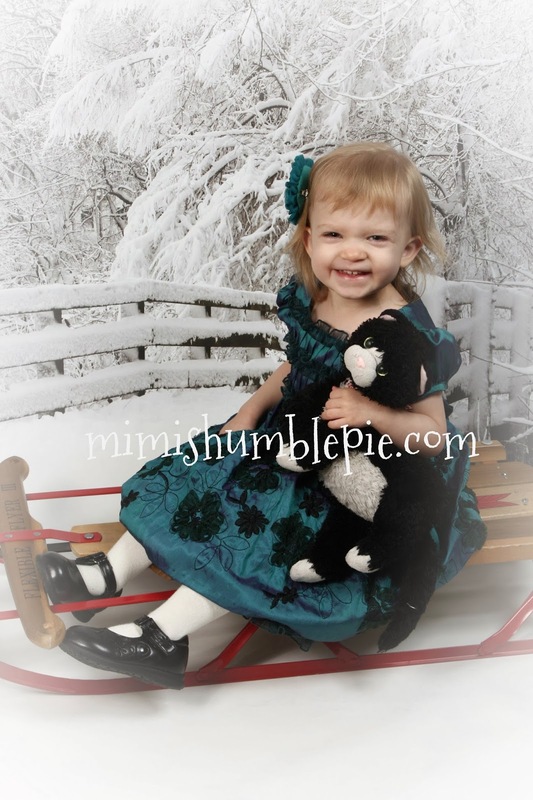 I'm happy to share news about a new Sears Portrait Studio promotion. 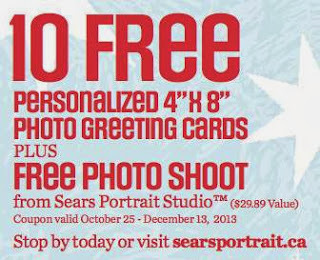 From October 25 to November 7th receive 10 FREE personalized photo greeting cards + a FREE photo shoot courtesy of Sears Portrait Studio ($29.89 value) with a purchase of $50 or more on kids' fashions. Redeem your coupon from October 25 to December 13 th. Sears Canada has offered to give away a Portrait Studio coupon to one Canadian reader. Easy entry by rafflecopter below. Please Note: The giveaway will be open to all Canadian residents over the age of 18 (excluding Quebec). You may enter across multiple blogs, however you can only win once. The only official family portrait we've ever done was at Sears when the boys were little - I guess it's about time to do another one!!! LOL!!! we have a whole extra family member now! Professional family photos are very important to me..
We did it 5 or 6 times when I was growing up and I would like to do the same or a little more often with my son.